Hawkeye volleyball seeks to end a disappointing five-match losing streak as it welcomes No. 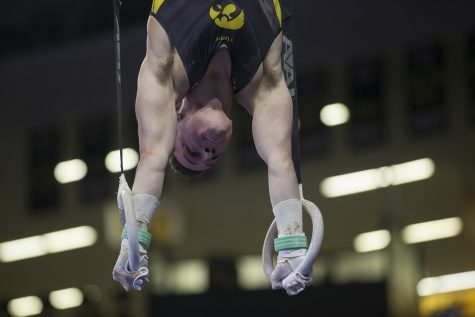 7 Penn State and Rutgers to Carver-Hawkeye this weekend. 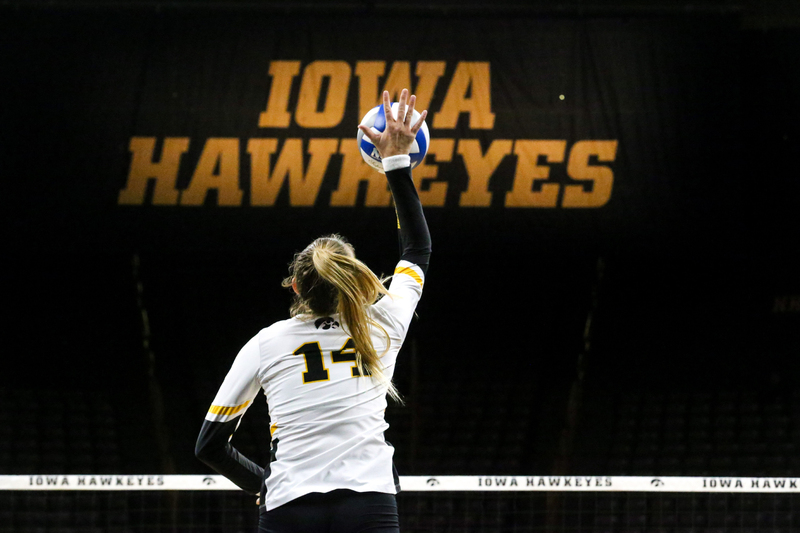 Junior Cali Home serves the ball during the Iowa Volleyball game against Northwestern at Carver-Hawkeye Arena in Iowa City on Wednesday, Oct. 25, 2018. 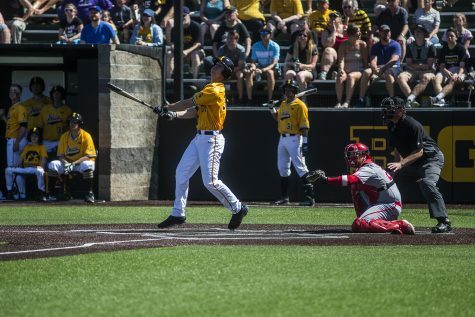 Northwestern defeated Iowa 3-2. It is a crucial stretch in the season for Iowa volleyball as it tries to rediscover its identity. 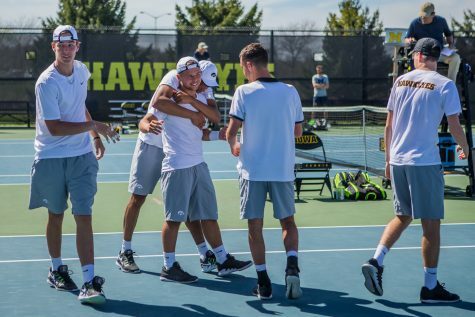 The Hawkeyes were on pace for a historic season before an interruption by an untimely five-match losing streak. 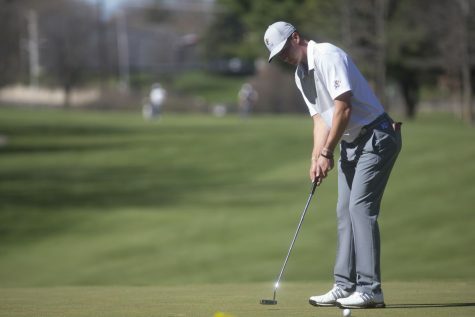 They hope to make their comeback this weekend with home matches against Rutgers and No. 7 Penn State. Rutgers makes its way into Carver-Hawkeye to start the weekend, hoping to nab its first conference victory of the season. It will be the second meeting between the Knights and the Hawkeyes. 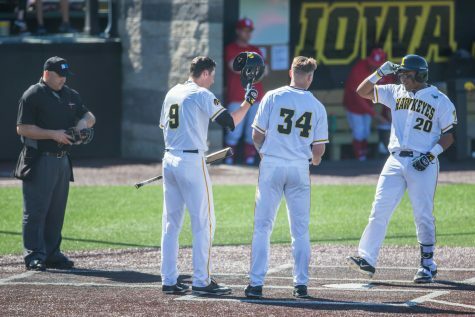 The Oct. 10 sweep of Rutgers marks Iowa’s last victory before spiraling into the losing streak. The Hawkeyes were very effective against the Knights in that first meeting. They hit very consistently with a percentage of .398. 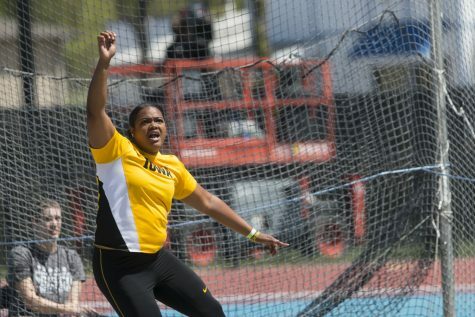 The match was one of the only recent competitions in which the Hawkeyes were able to out-block an opponent. 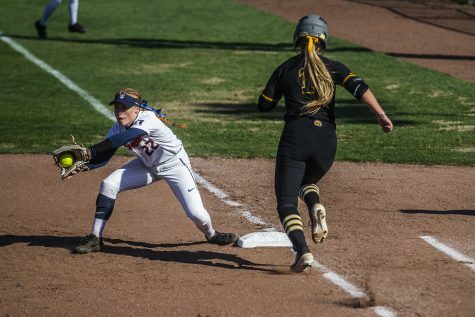 Hitter Taylor Louis and setter Reghan Coyle led the effort, and Iowa out-blocked Rutgers, 8-4. 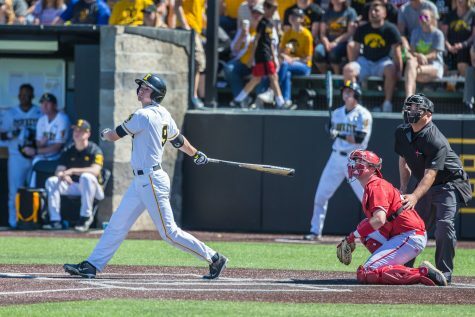 If Iowa wants to end the skid, it needs to have similar production. The Knights have had some bright spots. Sahbria McLetchie has been fairly successful this season, putting up 3.05 kills per set. McLetchie swung her way to 12 kills against Iowa in the first matchup. Still, the Hawkeyes are confident that their success against Rutgers in the first meeting will be replicated tonight. Toughness in play and in spirit, they say, will help them get back in the win column. The nature of Big Ten volleyball makes it hard to get through a weekend slate of games without facing a top-10 opponent. This weekend is no exception — No. 7 Penn State will enter Carver-Hawkeye on Saturday. Penn State is rocking an impressive résumé, with wins over top-15 teams in Purdue and Nebraska. 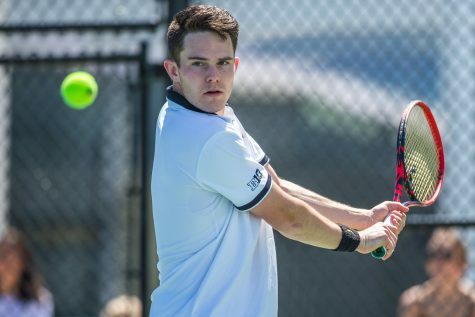 More recently, it dropped a five-set match to Purdue in its second matchup against the squad. Statistically, the Nittany Lions have been stellar. The squad leads the Big Ten in blocks per set with 2.94. The effort has largely been led by middle Serena Gray, who wields 1.37 blocks per set, third in the conference. 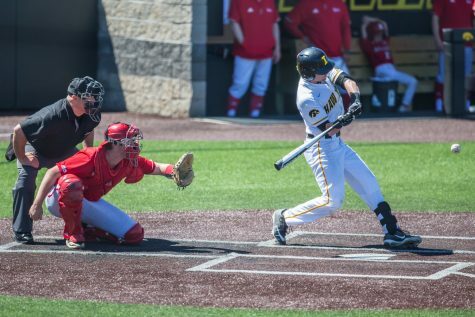 The Hawkeyes well know the challenge of facing a high-caliber opponent. The squad is depending on chemistry and focus to give it a chance at home against Penn State.